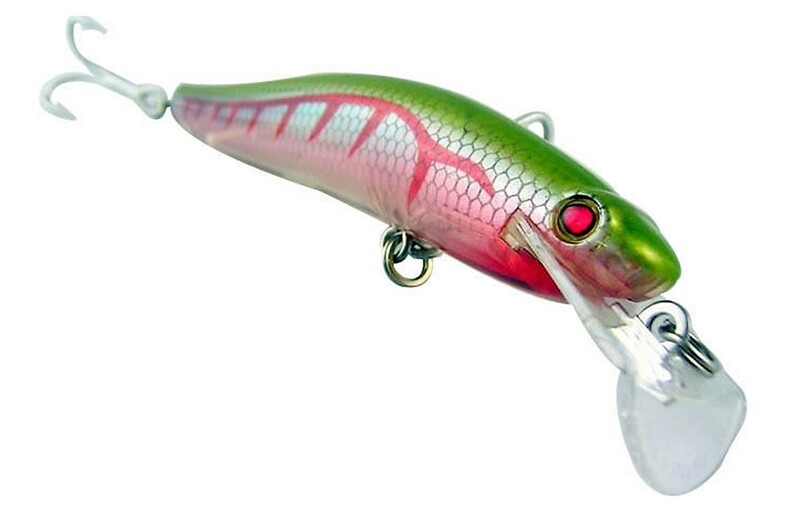 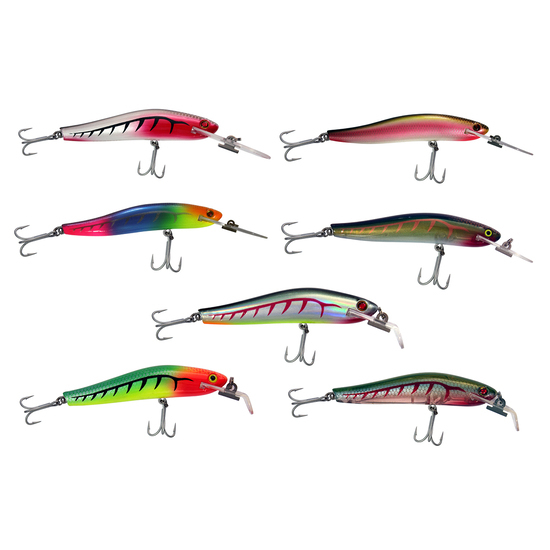 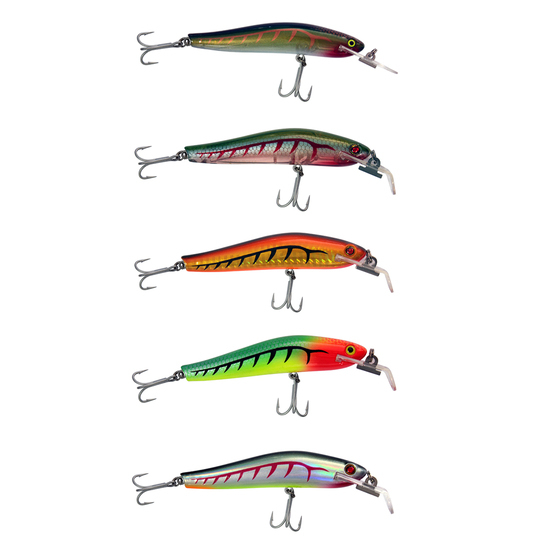 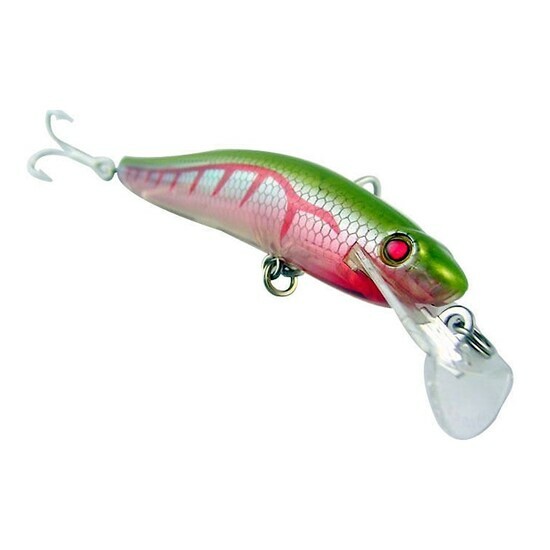 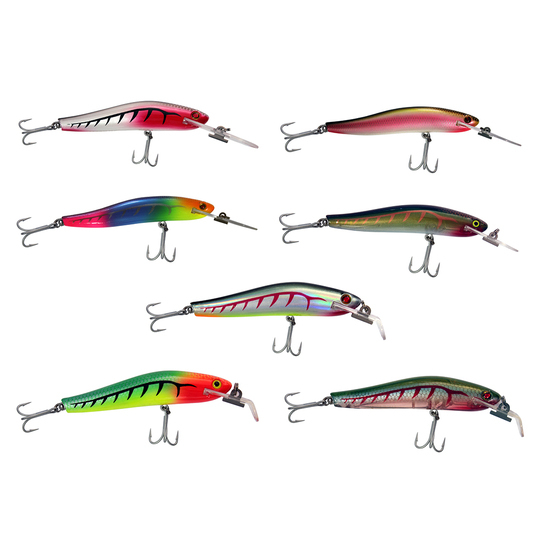 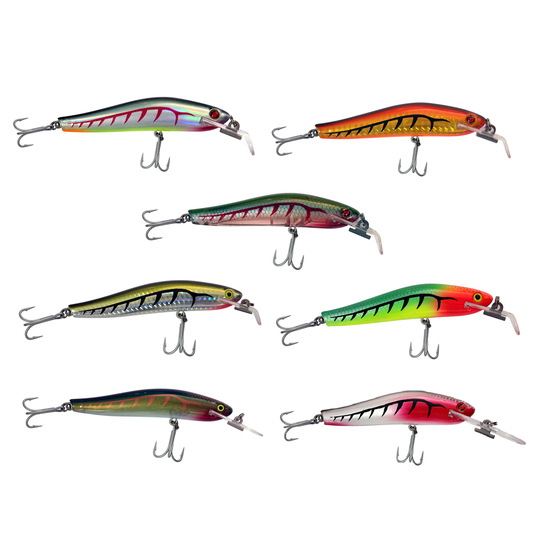 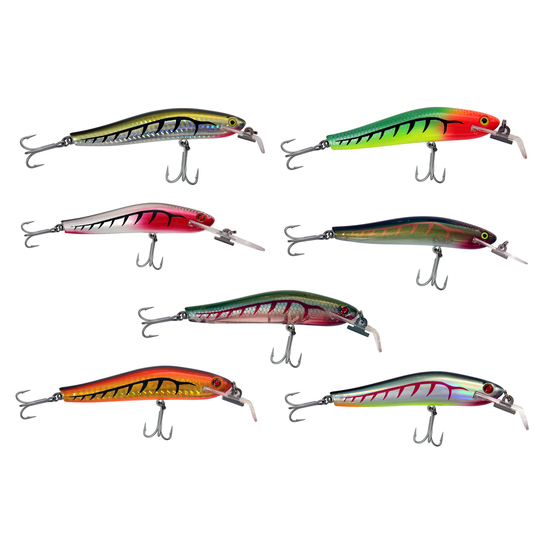 Although this giant wobbler is designed with trolling in mind, the Ripper Diver incorporates a weight transfer system that enhances its casting distance. 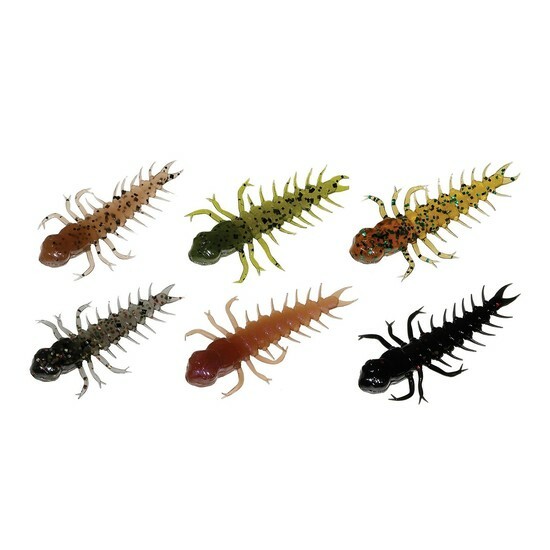 The attractive side to side wobbling is guaranteed to emanate brilliant flashes even in murky water conditions to entice predators residing in the depths. 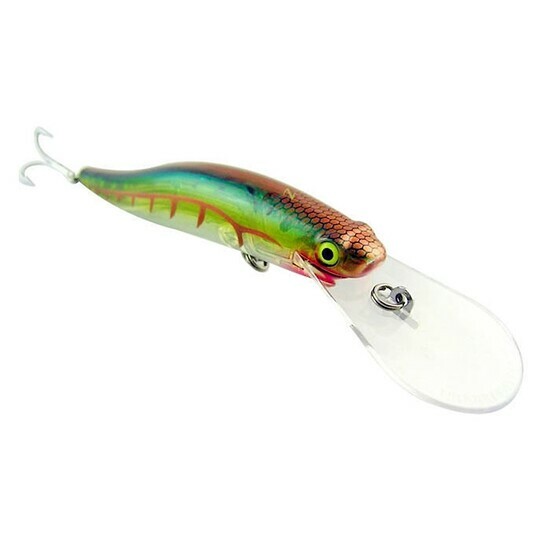 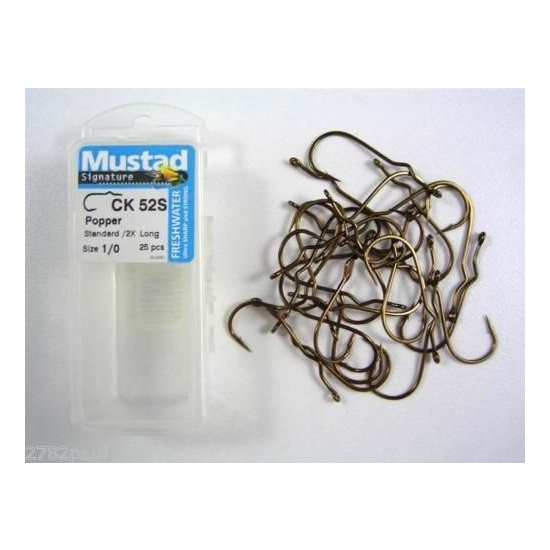 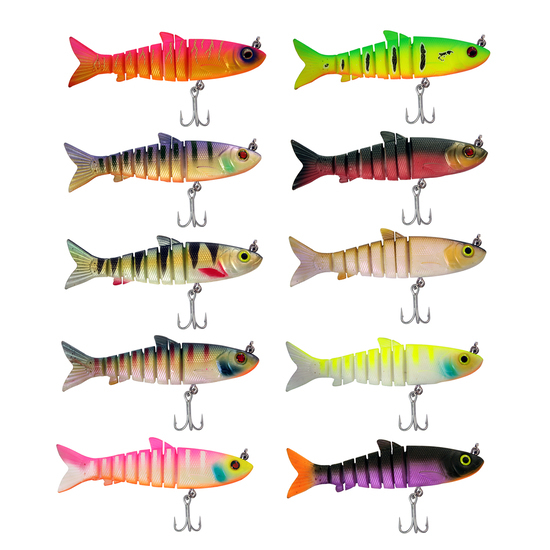 Available in 3 different sizes (90mm/110mm/130mm) and 3 different depths (1m/3m/5m), this family of wobblers would make fantastic search baits with the wide grounds covered thereby increasing the probability of a fish striking. 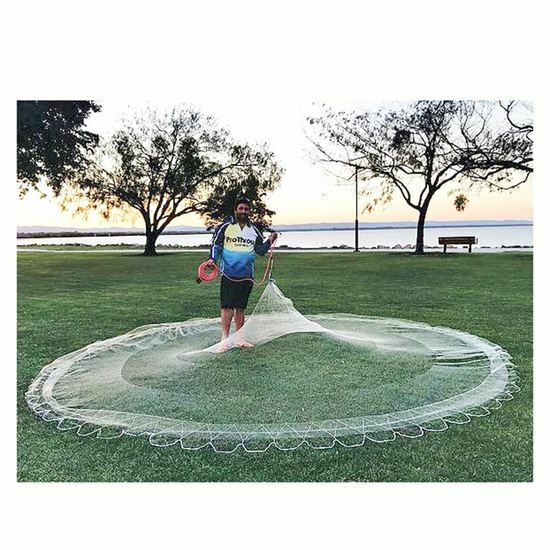 The wide bib is precisely designed to keep a straight track when trolled, even in fast moving currents and its positive buoyancy minimizes snags with underwater obstacles. 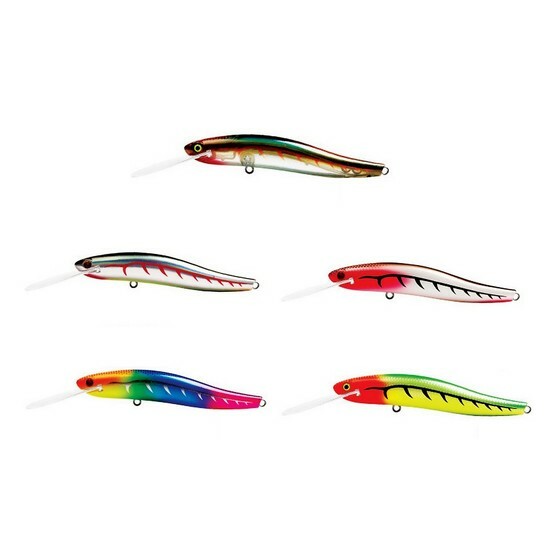 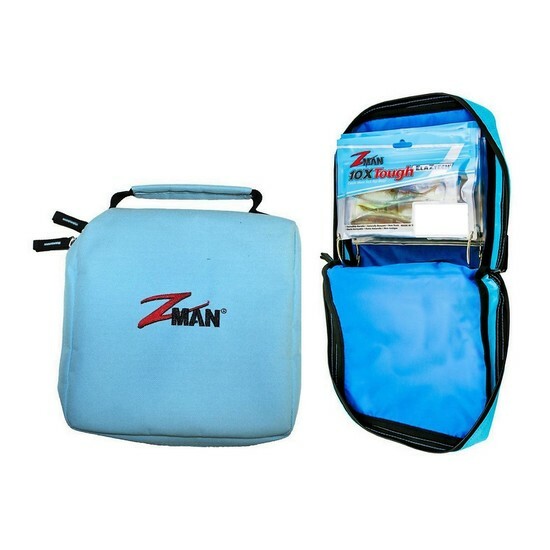 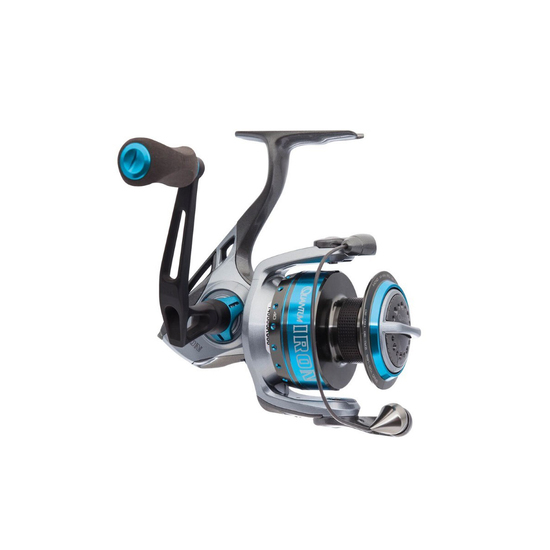 The Zerek Ripper Diver is ideal for targeting Barramundi, Cod, Mangrove Jack, Trevally and a variety of other species.